Dr. Paul Robinson is a Consultant Adult Psychiatrist and has specialised in Eating Disorders Psychiatry for some 25 years, working at the Maudsley, at Johns Hopkins Hospital, Baltimore, the Gordon Hospital, the Royal Free Hospital, the Russell Unit and now as an honorary consultant psychiatrist at St Ann’s Hospital in North London. He promoted the idea of intensive community treatment for eating disorders to minimise the need for hospital care, (Community Treatment of Eating Disorders, Wiley, 2006) and has published a book on Severe and Enduring Eating Disorders (SEED) (Wiley 2009). His research has been in the role of the stomach in hunger and satiety in eating disorders, the use of email in the treatment of bulimia and, most recently, his interest has been in the use of Mentalization Based Therapy (MBT) in the treatment of eating disorders complicated by symptoms of Borderline Personality Disorder. For 3 years he was a member of the Bariatric Surgery team at the Whittington Hospital. 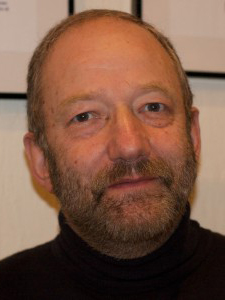 He is a founder member and former chair of what is now the Faculty of Eating Disorders at the Royal College of Psychiatrists and has been the author of two College Reports on Eating Disorder Services and a guidance document and a book on the management of anorexia nervosa in general hospital settings (MARSIPAN). He has trained in systemic family therapy and Mentalization Based Therapy and his approach to eating disorders and general psychiatric problems is to make a full medical and psychiatric assessment and then recommend treatment, generally using psychological therapies including family therapy and occasionally medication. He is a lecturer at University College London, his former medical school, and has recently launched a postgraduate degree course at UCL in Eating Disorders and Clinical Nutrition.